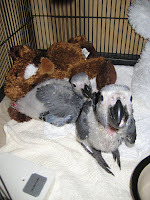 Just thought I would add an updated photo of the baby African Greys. They are growing so fast and eating so much. 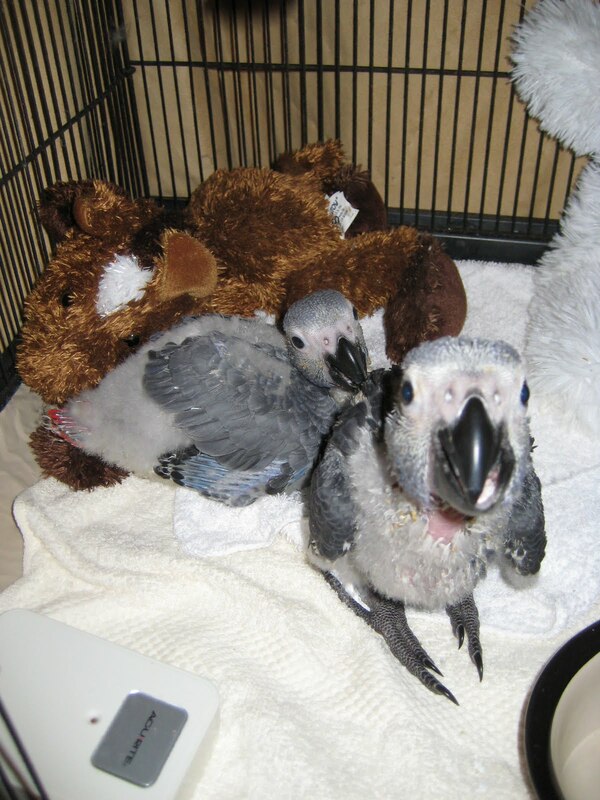 I have started the weaning process and they are eating small amounts of softened weaning pellets and melon and licking small pieces of pepper, apple and grapes. Not sure how much they are getting from these nibbles. The are starting to climb onto small low down perches in the cage now and are very interested in anything new I put in the cage. They have started to love cuddles though are still unsure of getting on my hand.